3-Blade Spiralizer Just $23.97! Down From $40! PLUS FREE Shipping! 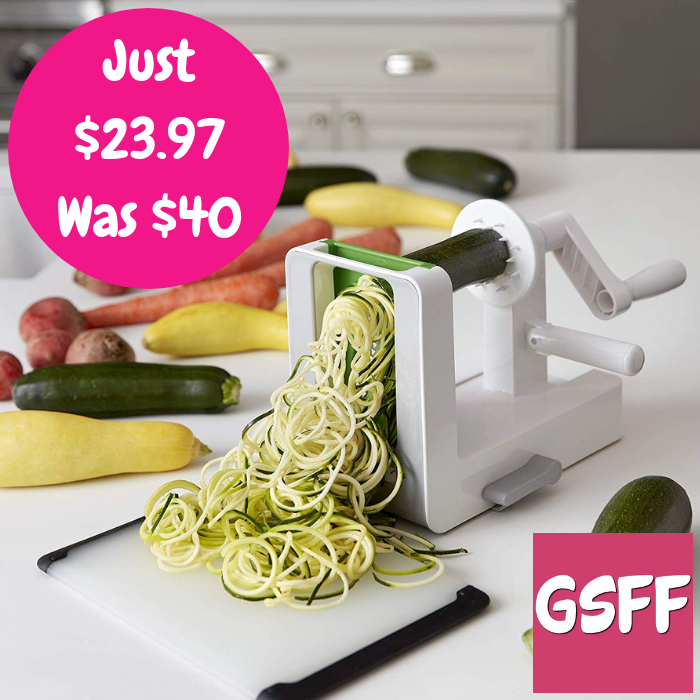 You are here: Home / Great Deals / Amazon Deals / 3-Blade Spiralizer Just $23.97! Down From $40! PLUS FREE Shipping! At Amazon, you can score this Oxo 3-Blade Spiralizer for just $23.97 down from $39.99 PLUS FREE shipping! This Spiralizer is perfect for creating vegetable noodles, a tasty, healthy alternative to pasta. Make quick work of creating uniform spirals from fruits and vegetables for curly fries, salads, garnishes and more. It’s faster and safer than a knife, with a fun and unique end result.